A teenager who lost her boyfriend when he was hit by a car arranged a wedding and funeral on the same day so she could “marry” him and say goodbye. 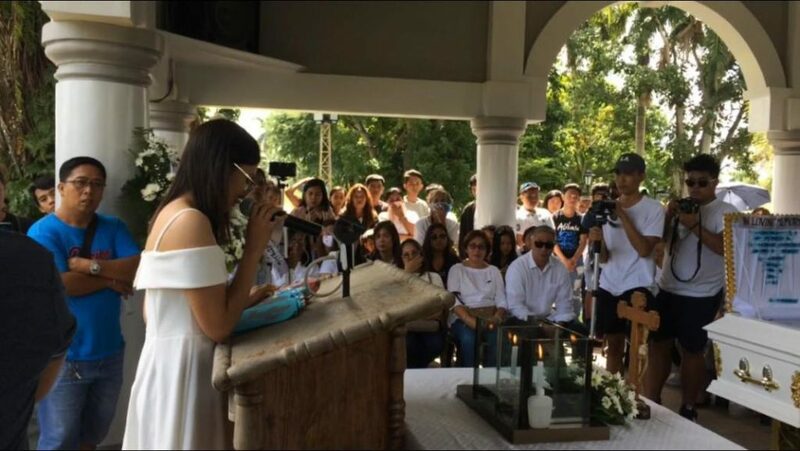 The 19-year-old woman from the Philippines, identified only by her first name, Zyrine, wore a white dress to the wedding. Jake, who’d just graduated from university and was planning to take a job abroad, was killed when a wealthy businessman used his car to ram three motorcycles carrying nine people after a row outside a bar on 24 August. The couple’s families agreed to the wedding and although not legally binding it was sanctioned by the church, who provided a priest. The bride’s father, Antonio Delmend, also took the opportunity to speak of his daughter’s love for Jake. The couple had been together since high school.